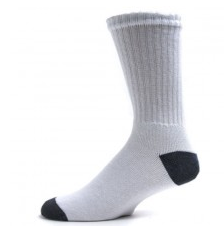 12 pair Men’s Athletic Crew Socks for $12.99 shipped! You are here: Home / online shopping / Graveyard Mall / 12 pair Men’s Athletic Crew Socks for $12.99 shipped! I’ve decided that you can never have too many socks! I don’t know if you all can relate to this, but we seem to have a “sock monster” that steals socks and so it’s a constant struggle to find matching pairs! If you have a sock monster at your house, too, you’ll want to grab this deal on Men’s Athletic Crew Socks on Graveyard Mall today. You can get 12 pair for just $12.99 shipped! HOT DEAL ALERT: 30 pairs of men’s or women’s socks for just $15.99 shipped! 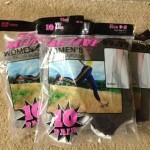 DEAL ALERT: 30 pairs of women’s socks for $15.99 shipped! 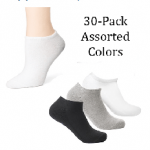 Famous Branded 12 pk Crew, Ankle, and Athletic socks as low as $9.39 shipped! Men’s and Women’s Waterproof jackets and pants for $9.99 each at Graveyard Mall! 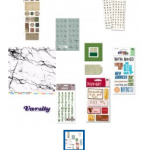 Graveyard Mall: Scrapbooking Mystery Box (5000 pieces) for $39.99 shipped! 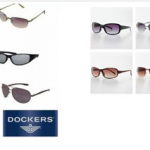 Hot Deal Alert: 6 pairs Dockers sunglasses for men or women only $19.99!